Two Way Exhibitions & Events specialise in tailor made solutions to suit your particular needs. We pride ourselves in being creative and dynamic, yet cost effective and functional. We just wanted to thank you and your team so much for the great work you did in a complicated space on Discovery Sales Conference. The carpeting was seamless and we are very grateful for the amazing job Two Way did! We look forward to working with you again. I just wanted to say a big thank you to you both for pulling together a great stand for CHEP in such a short period of time. It was great working with you both. Take care and hopefully we will meet again next year at Enactus. 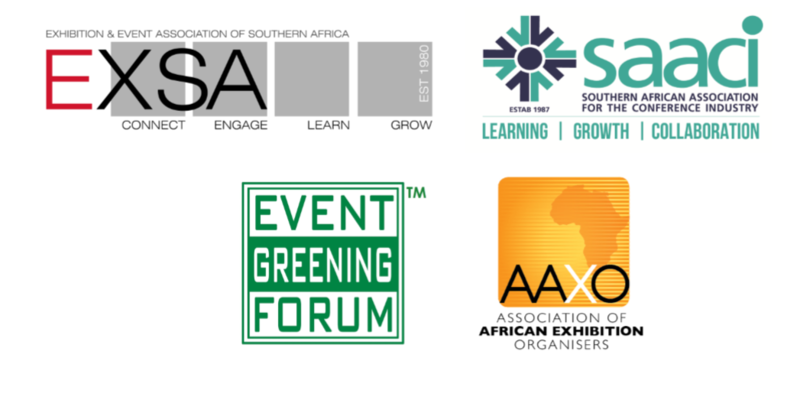 Thank you for yet another successful event at The ROA Indaba Conference. Your guys are great to work with. Thank you so much. I would like to thank all our suppliers for the work done at Africa Fashion International. I know it is a challenge of a venue due to limited access/times and harsh safety criteria, but you all excelled with this job and I appreciate your efforts and dedication in this regard. Please relay this to your teams that were on site. I look forward to working with all of you in the nearby future. I want to let you know that working with Two Way is always a pleasure. Your employees always go the extra mile for me , to which I cannot thank you and them enough. I love TwoWay, wow what a company. I would like to say a big thank you to you both for all your hard work last week in making CFA 18 a successful and smooth running event. Your hard work did not go unnoticed and I am pleased to say the event was a great success and we will definitely be appointing Two Way again to be the official contractor for our next Coatings For Africa event. On behalf of the SA Lipizzaner Team and all the Stallions, Mares and Foals we would like to thank you from the bottom of our hooves!! With the generosity and support shown by companies and people such as yourselves, we are able to keep this magnificent legacy alive. I would just like to say a huge thank you to you and your amazing team for all your work at the Muslim Lifestyle Fest. Your knowledge of the Exhibitions and JOC was invaluable. We could not have handled this event without you and your team. Thank you for assisting our junior manager Sumbul with all the exhibitors and with the strange requests. I never had to check up on anything as I knew you had it handled. To work with you was a pleasure and I hope in the near future we can do this again. A warm and gracious thank you for your contribution to our 2018 Franchise Trade Show. This was by far the biggest and most successful trade show which was greatly attributable to your efforts and professionalism both leading up and during the event. A special word of thanks to our onsite go to person, Jenna who went to great lengths to ensure that the event was a success, exceeded our every expectation without question. It was refreshing to work with an experienced expert who is able to think on her feet and whom with ease became an extension of our own Pick n Pay team. Your entire team fulfilled an invaluable support resources, able to accommodate and realise all of our last minute changes without drama, when we asked for something it literally just happened. The team were fiercely dedicated to the success of the show - AMAZING! Thank you so much for assisting with this event - it truly was a special one. We are very grateful to be able to work with such amazing industry professionals. I just wanted to say a big thank you yo you and your team for yesterday's build at CTICC. You were professional and delivered a carpeted venue hours in advance and we at Compex are grateful. The show is up and running and everyone is happy. We hope to continue this great working relationship for many years. I just wanted to say that it has been an absolute pleasure dealing with you. Thank you so much for assisting us at such short notice. Your team was efficient and a pleasure to work with.